When I started the search engine marketing Memphis blog, it was mainly for SEO educational purposes for people that wish to learn how to implement proper SEO to move their websites and blogs up in the SERRP's(Search Engine Results Page). I also thought I may pick up a few clients that really don't have the time to do their own search engine optimization and marketing online. Which leads me to the question, "Do you really need SEO services for your website to succeed online?" To answer this question we must first look at why you have a website. Websites are designed for various reasons including informational purposes but mostly to promote and sell products or services. In order to have a successful website when selling products and services, you must have traffic which converts into sales. Organic traffic from search engines or traffic funneled to your site from other sources such Adwords or Pay Per Click campaigns or other forms of advertisement that directs traffic to your site. It is understood by most that organic traffic is by far the best traffic not only because it is targeted traffic but most importantly because it is free. However, there are hidden cost in receiving organic traffic in the form of website hosting fees, website maintenance and the man hours needed to design and upload relevant content to the site. In order to receive organic "free" traffic, proper search engine optimization techniques and procedures must be utilized and implemented or you will not receive the traffic needed to convert into sales. This leads me back to the question posed in the title of this article, "Do you need SEO services to succeed?" This question is relative only to the person being asked the question. Only you know if you need search engine optimization services. If you have the time and desire to learn SEO techniques and procedures, then you probably don't need SEO services. The learning curve for proper SEO is not something that can be attained overnight, but the knowledge can be attained with study and a bit of dedication over a few months. Wading through the mountains of erroneous and misleading information about SEO that is unfortunately so abundant on the Internet, is the first order of business. Only through testing, trial and error will you eventually learn which sources of information can be trusted. Once you learn the the procedures for proper SEO, you can begin to implement them and most often will see an increase in traffic to your website, which is what you're after in the first place. SEO is not a one stop service like computer or hardware maintenance or loading a software program and then you're done. SEO is a fluid, ever changing process. What works today may not work tomorrow. Search engines are constantly updating and tweaking their algorithms to combat black hatters, scammers and spammers who are constantly trying to game the system. The nature of search engine optimization is to ebb and flow, dynamically changing from day to day, week to week, month to month. Do you need SEO services to succeed online? Evaluation of your needs and time constraints are what is needed to answer the question. Reaching the number one position in the search engines is difficult if you are in a competitive niche and will take months of work with diligent and consistent effort applied to the SEO process. 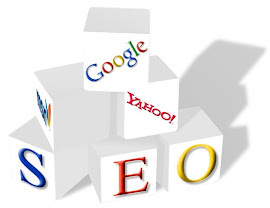 Ultimately, the answer lies with each individual business to decide if SEO services are needed to promote your website. Proper SEO can mean the difference between having a successful or unsuccessful website in the business arena. An SEO service can be the answer if you don't have the time to devote to search engine optimization. This is what the Search Engine Marketing Memphis Blog is all about, helping you learn proper SEO or implementing SEO for you. Yes, I know I need seo help, but finding it is hard. I know you are blogging on this topic to try and generate some biz, but tell me, if you were searching for seo help, how would you go about it? I have yet to see two quotes for seo work that are identical, let alone close. The prices are all over the board, with no apparent rhyme or reason. Similarly, the amount of time quoted is also quite variable. Then, even if you could get close on price and time, how can one predict the quality of the end result? Us small business guys are the low hanging fruit for techies looking to score. It's very difficult and frustrating trying to find reputable, honest, reasonably priced vendors. That's one reason I have recently decided to stop my broad search and just focus on local help and see if that is any better. That way, I can verify references, satisfaction with results, and not pay Silicon Valley prices for Texarkana labor (no offense to TxAr, but you get the point). Another thing I have decided is that I am limiting my search further to the quality of information provided by the vendors website. Your info is quite good. I would imagine a blog can be difficult to maintain with little activity, but I also understand it is part of marketing your site and services and is probably something in my future too. Anyway, I'd be curious to hear your thoughts about these questions and would appreciate it if you could cc me at eawmhr@gmail.com.